Buckinghamshire is a place renowned for its great quality of life, so why not bring this level of quality to your stair parts as well? 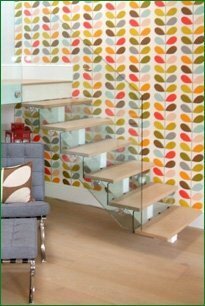 Pear Stairs is a company that promises to design a staircase that you will love, by using the highest quality products in the process. Wide range of Buckinghamshire Stair Parts available in our Online Store! Along with designing and manufacturing staircases, at Pear Stairs we also have a wide range of stair parts, all of which can be purchased direct from our online shop. These parts can then be incorporated into the design in order to beautify your Buckinghamshire stairway. 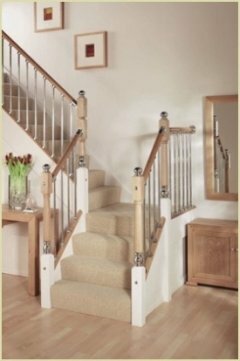 Whether you want a traditional looking staircase, or fancy a more modern edge, we can offer spindles, newel caps, handrails or end steps to create a staircase to suit each individual customer’s needs. There are many different materials to choose from, including oak, softwood, hardwood, metal or glass, and we can help you choose the one that is perfect for your Buckinghamshire home. Our stair parts can both enhance and decorate your Buckinghamshire stairway, and we often encourage our customers to mix and match our stair parts in order to create a unique and original look. Take our stair spindles, for example. Rather than having a single spindle design, why not try using two different styles in your staircase, as this can offer real visual interest and texture to your design. The same can be said for our newel caps; if you have a traditional timber staircase that you want to mix up a bit, why not try finishing your design off with our ultra-modern metal newel caps. We have various shapes and sizes to choose from, so why not give mixing and matching a go? With customer service fit for a queen, once you have designed your staircase and accessorised it with our extensive range of stair parts, Pear Stairs will then deliver it straight to your Buckinghamshire doorstep, in 10 days or less. To see the range of stair parts that we have available, please take a look in our on-line shop .